Moow are experts in hospitality and technology, delivering the widest range of in-room entertainment and business services to the market, seamlessly merged with property management systems. 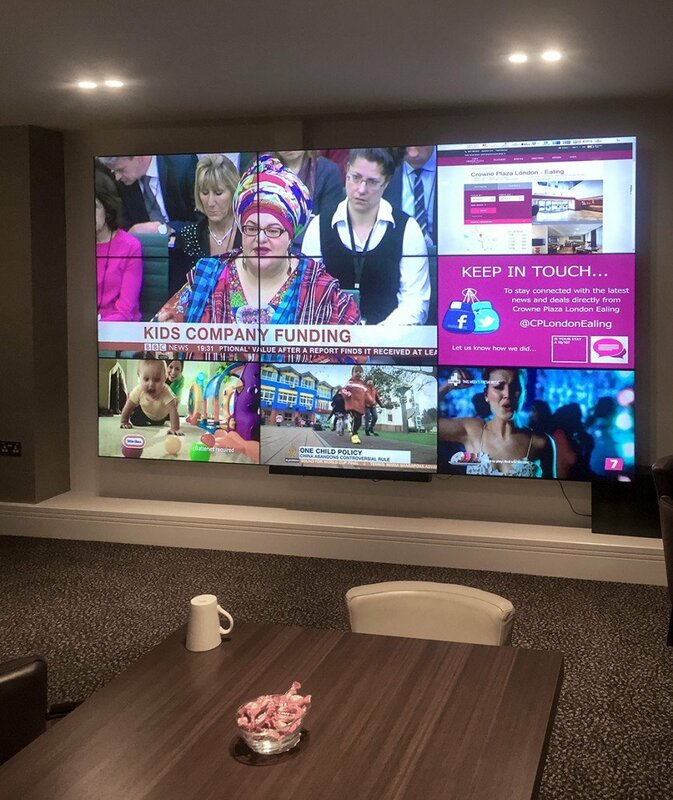 Promultis were commissioned by Moow to design, build and install a 3×3 video wall into the Crowne Plaza hotel in Ealing, West London. In addition, Promultis installed software to feed a number of news and entertainment satellite channels onto the screens.